When I look for companies to invest in, I am not only drawn to the product and to the potential upside… I’m also drawn to the entrepreneur. Ashley Drake of The Natural Grip, as an example, has the passion, drive and deep commitment to her company that really makes her a great partner. Ashley and her husband developed the innovative hand protection “The Natural Grip” to help athletes prevent tearing and scaring of their hands when working out. Now, most entrepreneurs have that desire to succeed, but what sets Ashley apart in my mind is her military training – the need to be part of something greater than yourself. Ashley embodies the soldier’s mentality because she lives it every day as a member of the U.S. Army Corps of Engineers. Through discipline, focus and perseverance, she has dedicated herself to her country, and to the company she and her husband are building. Choosing to invest in The Natural Grip was easy. I loved the product and Ashley had already cultivated a dedicated customer base through successful social media campaigns. Like any good leader though, Ashley knew there was more she could be doing. There were better ways to pinpoint an audience still untapped in her marketing efforts. I recommended Ashley engage with Deluxe Corporation to devise an even smarter social media presence and it’s been the right fit for The Natural Grip. The social media marketing experts at Deluxe helped Ashley with a targeted social media campaign, reaching specific audiences in the CrossFit and Paleo communities. By spending a small amount of money to target her campaign on Facebook to audiences that would benefit, sales increased. As an entrepreneur myself, I’ve learned that it is ok to ask for help. Many small business owners are immersed in the day-to-day minutia of running their business, often times focusing on what they know best – whether that be manufacturing, building, accounting or finance. They put aside the parts of the business they find difficult, often to their own detriment. I’ve learned that when there is something I don’t know; I can’t be embarrassed by it. I have to turn to experts to guide my decision making. This has led to better options and opportunities for Herjavec Group. The businesses and entrepreneurs I have invested in over the years are no different. They all take pride in ownership, in community, in being part of something great BUT and it’s a BIG BUT, they also know when to raise their hands and ask for help. My partnership with Deluxe has helped Herjavec Group, and the companies within our investment portfolio dig a little deeper into marketing efforts that are outside of their area of expertise. We have captured this great learning at www.deluxe.com/behindthebusiness where case studies and videos provide instruction to other small business owners on their journey to success. Businesses like The Natural Grip, Nuts ‘N More and Happy Feet share their journeys not only in partnership with Herjavec Group, but in how they are able to reach new audiences through social media, email marketing and website optimization. 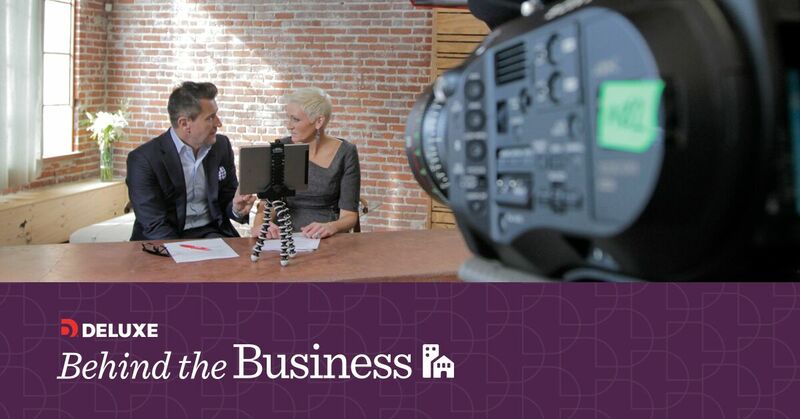 Check out Behind the Business and get a glimpse into what it takes to elevate your business to the next level.